Hi everyone! I hope you had a wonderful weekend! It was a productive spring weekend for us. We washed windows, cleaned out the freezer, put summer tires on the SUV and did some yard work. 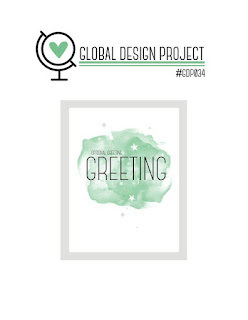 With all of that I needed to create a quick card to share with you for the Global Design Project Challenge GDP034! Friday I shared a watercolor flower card. 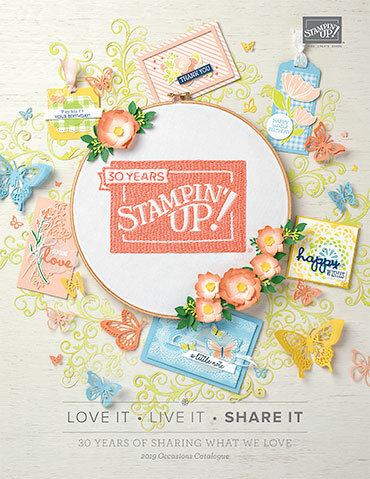 My April stamp clubs created this card as one of their make and take projects. 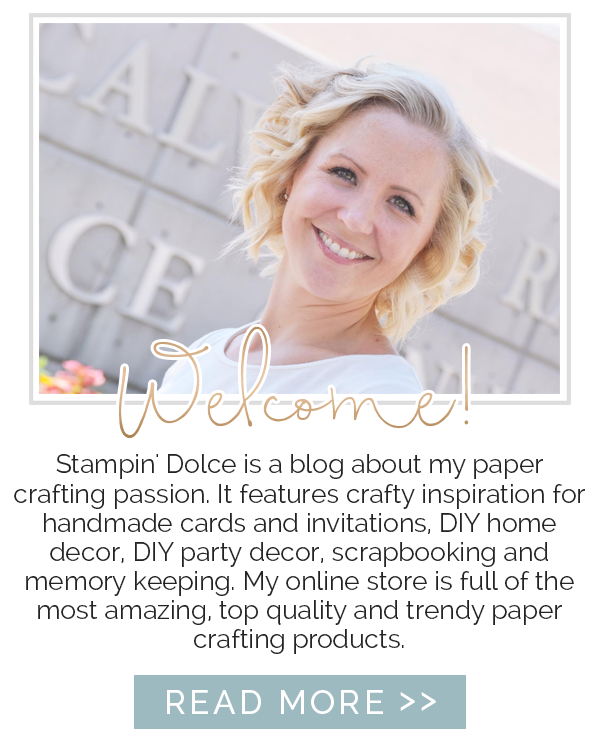 This technique takes some practicing and may not be for the beginner stamper. 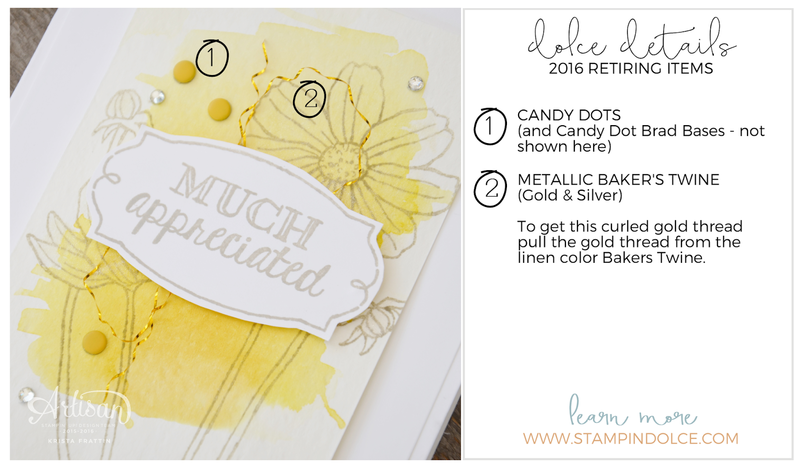 I simply love the stamp set and wanted to CASE this card but simplify it for you today. 1. Wash your WATERCOLOR paper with water and a paint brush or an AQUA PAINTER filled with water. 2. 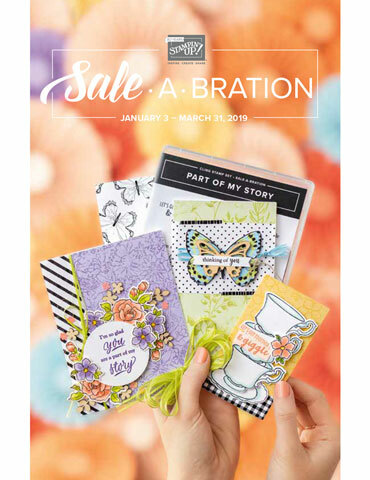 Add a drop of STAMPIN' INK REFILL to a pallet. Mix a small amount of water to the ink. 3. Pick up the ink with your AQUA PAINTER or paint brush and paint on the wet WATERCOLOR PAPER. 4. You will want to allow the watercolor background to dry completely before you stamp your flowers over it. I have created a quick 1 minute video to show you this technique in action. I brushed the flowers with WINK OF STELLA - but it was hard to photograph and I do not think you can see it here. In "real life" it is magical and adds a pop to the flowers. A few of the embellishments on these cards will be retiring from the Stampin' Up! catalogue on May 31st. These items are available while supplies last. 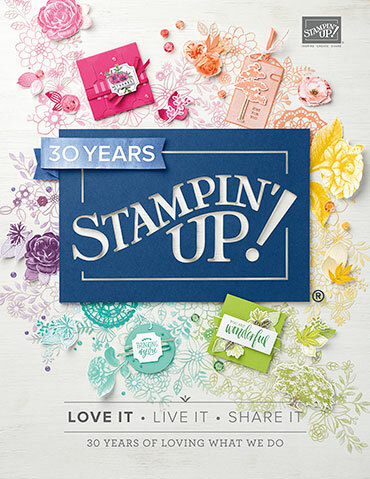 You can see all of the merchandise that will be retiring from Stampin' Up! here. Click over to the Global Design Project. The design team members will be sharing creations inspired from today's challenge sketch. Check back all week with the GDP and you can view what followers from around the world are submitting. You are always welcome to take the challenge and join us too! Thank-you for visiting! I hope that you will give watercolor washing a try.